Lemon Grove is a modest town in San Diego County. The real estate in Lemon Grove is equally modest. Built on the backs of working class families dating as far back as the turn of the 20th Century when the area was literally just lemon groves, Lemon Grove, CA could be considered the backbone of the state. Single family homes fill the streets of Lemon Grove. Suburbanization being the next crop that grew here once the citrus trees were cut down. You see, here in Lemon Grove, in some ways, is where the American Dream started. It didn’t take long for the groves to fill up with beautiful homes. And once there was no more room for those perfect white picket fenced in yards, Lemon Grove began to expand. Not that it’s now a big city. Far from it. No, Lemon Grove has retained it’s small town suburban feel, but lately it has experienced a bit of a renaissance. Home buyers are discovering that there are affordable homes in Lemon Grove. And with Lemon Grove being less than 10 miles away from the city of San Diego, it’s the perfect place to pick out a new house. If you know anything about small towns like this you’ll know that there’s bound to be cheap real estate in Lemon Grove. Short sales and foreclosures are the new fruit here and they are ripe for the picking. And you can let OpenOffer.com be your own personal farmer. Once you take a peek at the bank owned property in Lemon Grove you’ll be clamboring for your check book. 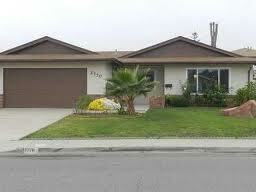 Where Lemon Grove truly excels though is it’s quaint single family homes. When you step inside one of these houses you get the sense of history. This is where Americans came from the cities to. This is where Americans, tired of the hectic urban lifestyle, first came to find their own plot of land, their own space to call their own. The American Dream, as we’ve come to know it, is still alive and well here. Lemon Grove is not flashy. It’s not going to blow your socks off. It is, however, open for the taking. 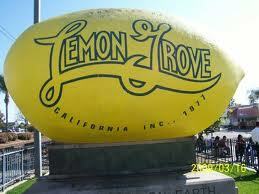 Like it always has been, Lemon Grove is it what the residents of this small town make it. Now it’s up to you. What will you make of your new home in Lemon Grove? « Can You Change the Terms of a Contract?